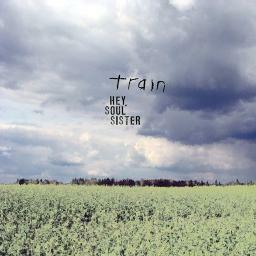 April 13 – On this date in 2010, Train’s huge comeback single “Hey, Soul Sister” had peaked at #3 on the pop chart. Though the song never made it to #1 in the U.S., it did top the charts in 16 other countries and went on to be one of the highest-selling songs of 2010 (and the best-selling song on iTunes that year). The song also helped the band’s fifth studio album, Save Me, San Francisco, become a top-seller. Pat Monahan, whose music career began in a Led Zeppelin cover band, later started singing in coffee houses and local clubs in the Bay Area, where he formed a band that he called Train. When they couldn’t get a record deal they released their self-titled debut independently. Eventually Columbia signed them and their second LP, Drops of Jupiter became a huge hit in 2001, peaking at #6 on the album chart. Their follow-up, 2003’s Private Nation, did just as well; and their fourth LP, For Me, It’s You, got as high as #10. For a few years Train sat at the station as fans waited. Then, after a hiatus, Monahan brought to the studio something inspired by the Burning Man Festival. Train had never played at the festival, but Monahan had read about how they burn a wood sculpture of a man and how it sets off this spontaneous party with beautiful women, some naked, dancing around the firelight. With that topic on his mind while in a sleep-deprived state, when Monahan claims to write better, the lyrics for “Hey, Soul Sister” came to him as if in a dream. Although he did not yet have a melody, he knew that he wanted the song to “bounce” because that’s what the lyrics were about, a woman so hot the way she moves isn’t even fair.